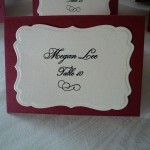 Here are the red & ivory placecards designed for a December wedding. 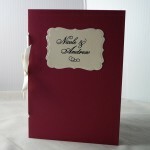 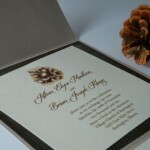 The ivory cardstock was die cut and embossed to match the classic look of the Christmas Wedding Programs. 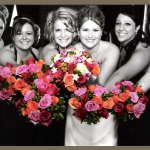 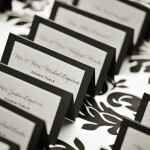 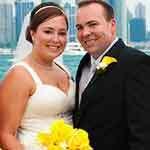 The interior of the placecards told guests that a donation was made to a local charity by the bride and groom in lieu of favors. 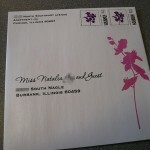 I wanted to post some photos of the envelope I designed for the Purple Orchid Invitation. 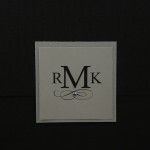 The orchid design ties the envelope to the invitation and lets guests know that an invitation to a great event is inside. 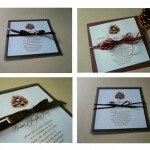 The second photo shows the custom designed postage stamp that completes the look.